Restricting your spending to an unnecessarily low level. Regardless of the rate at which you plan to spend from your portfolio, there’s a benefit to being broadly diversified. Unfortunately, many people seeking to “live off the income” make asset allocation decisions that focus too heavily on the yield of each investment, as opposed to its risk level and expected total return. And the same goes for bonds: Basing your spending on yield makes it tempting to load up on higher-yielding (i.e., higher-risk) bonds. Shifting your portfolio toward high-yield investments, and spending more because of the change, is simply increasing your withdrawal rate at the same time that you increase the riskiness of your holdings — not exactly a recipe for success. Unfortunately, if you avoid the above mistake and instead opt for an appropriately diversified portfolio, you’d probably have a yield of less than 2% in today’s environment, which, if you’re following a live-off-the-income strategy, would lead to a spending less than 2% of your portfolio balance each year. For most retirees, there’s no need to restrict spending to such an extreme degree — which is fortunate because most investors obviously won’t come anywhere close to saving 50-times the annual level of income they need from their portfolio. It’s OK to spend down your principal over time, provided that you do it slowly enough. Live-off-the-income strategies require a heck of a lot of money and leave behind a large portfolio to your heirs rather than allowing you to make full use of your savings during your lifetime. If leaving behind an inheritance is not one of your primary goals, such a strategy usually doesn’t make much sense. Last week at the annual Bogleheads conference, we had the opportunity to visit the Vanguard headquarters and have a Q & A session with several Vanguard experts. A few people asked questions about Vanguard’s Target Retirement funds. Most of those questions were answered by John Ameriks (the head of Vanguard’s Investment Counseling and Research Group), who from what I understand played a key role in designing the Target Retirement funds. Piper: During the panel discussion, you mentioned that the funds are rebalanced back to their target allocation daily using cash flows into or out of the fund, but that if cash flows were not sufficient to get the fund back to its target, further rebalancing would only occur if the fund’s allocation had strayed outside of a certain tolerance range. How far “out of whack” could a Target Retirement fund’s asset allocation get before the fund’s policies mandate that the fund manager execute further rebalancing transactions? Ameriks: Because it could potentially allow someone to estimate what type of cash flow would need to come in or out of specific funds within a very narrow point in time, I don’t think it’s prudent to get into more specific detail. And secondly, while we do have a rigorously defined quantitative dashboard that is used in managing the rebalancing process, ultimately, (as with all funds) transactions are subject to the decisions of the portfolio management team, who have the responsibility of ensuring, to the best of their ability on a day-to-day basis, that the fund is managed in a manner that is consistent with the funds’ stated goals and objectives. Piper: Presumably part of the purpose for using the tolerance ranges (rather than automatically rebalancing all the way back to the target allocation every single day) is to reduce turnover costs, correct? Ameriks: The purpose behind the rebalancing activities is to keep the fund’s asset allocation and risk levels in line with the glide path. It’s important to do that in as continuous a fashion as we can. In a theoretical model in which there are no transaction costs, it’s a completely continuous process. But given that there are costs, what we’ve tried to do is come up with an approach that balances the various costs involved with maintaining risk control against the value that we think maintaining risk control brings. Piper: Do the LifeStrategy Funds basically follow the same approach with regard to rebalancing? Ameriks: They do. The funds of funds all follow a similar set of policies and procedures around rebalancing. Piper: I hear from a lot of investors who like the idea of a hands-off portfolio — such as that offered by the Target Retirement or LifeStrategy Funds — but because of circumstances or preferences, they want to customize the allocation in some way — to include tax-exempt bonds instead of the Total Bond Market fund, for instance. I understand that the point of the Target Retirement Funds is to cater to as broad of an audience as possible. Ameriks: That’s correct. The best fit for the most people. Piper: But are there any thoughts as far as potentially building out the fund-of-fund lineup at all to include other allocations? Ameriks: It’s a question that we’re always asking: is there another category or another variation that we think there’s sufficient demand and a sufficient rationale for putting together? On the Target Retirement funds, we do sometimes get questions about whether risk-rated target date funds are something we’d think about doing. [Mike’s note: That is, conservative, moderate, and aggressive versions for each of the funds.] We think about it, for sure. I think the big issue that we have trouble getting around is that the target date structure is really intended to try to make it as easy as it can be. And it’s still hard. I’m completely on-board with the notion that people still do need to think about their asset allocations, and they need to take into consideration their circumstances. But still you want to make the decision-making process easy. 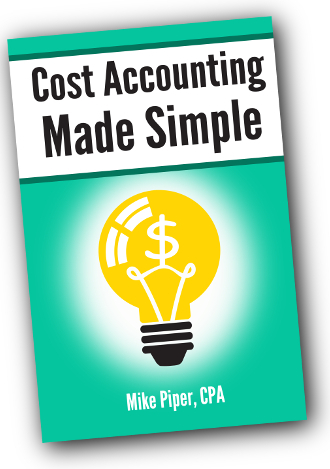 And in particular in a 401(k) plan, you want to make it as easy as it can be for a plan sponsor to choose the default. And it gets very tough — once you introduce risk rating, you put the onus back on the plan participant to think about, “am I conservative, am I aggressive, or am I moderate?” And you make the decision architecture complex again. The other thing we know is that when you offer a broad population of 401(k) investors conservative, moderate, and aggressive options, the overwhelming tendency is for people to choose the middle option anyway. [When you add risk-rated target funds] you’re introducing complications and making it harder for people to enter the plan, which you absolutely don’t want to do, and you’re not moving the dial very much. Last but not least, I very much view target date funds and other balanced fund options as completely amenable and useful as a core portion of a portfolio in a situation in which someone articulates a good reason for it not to be their total portfolio. Customizing around it by adding one piece to the portfolio can make a lot of sense. Piper: Is there a particular reason that there is no Admiral share option for the funds of funds? Ameriks: It’s not as much of a no-brainer as it might seem. Operationally it would be difficult to create share classes of the funds of funds. And then you would face the issue of how do you deal with the minimums in such a structure? We have Admiral shares on the basis that the holder of the Admiral fund has at least a certain amount of dollars in the fund. For some of the target date funds, we have bond allocations of just 10%. So if 10% of the fund is in Total Bond, and there’s a $10,000 requirement to get Admiral [for the Total Bond fund], are we talking about setting a $100,000 minimum to get Admiral treatment for those funds-of-funds? The ongoing issue we’re trying to balance here is to find a pricing structure where we are providing the services that we provide, at cost, for people. And it’s a balancing act. So is the question of being able to provide lower prices for target date funds and funds-of-funds on our minds? It absolutely is. Piper: Are there any specific plans for changing any of the underlying Target Retirement allocations in the future? Ameriks: In terms of changes to target date, it’s important to say that we do expect these portfolios to evolve over time. We are going to continue to do research. We are looking at these things on an ongoing basis and doing formal updates of our analysis around the glide path. We look at it a lot. But that doesn’t mean we’re going to change it. We tend to look at it through a lot of lenses. For example, we’ll do some historical analysis and look at it that way, and see if we’re in an acceptable range. We’ll look at shareholder behavior and see if things are acceptable from that standpoint. When a preponderance of indicators suggest that a change would make the funds a better solution for the investors that are using them, then we’re going to take steps to make those changes. So at this point, there are no specific plans to make changes to the target date funds. But I would make sure that everyone understands that it is not something that we set and forget. We’re constantly looking for ways to either improve diversification or reduce costs or provide a better fit for the shareholders. So people should expect some evolution over time. What will not change is the philosophy: that it should be easy for every investor to understand what’s going on in those funds. “I currently have my emergency fund in an online savings account. What would you think about transferring it to Vanguard’s Short-Term Tax Exempt Fund to increase my after-tax return or to the new Short-Term Inflation-Protected Securities Index Fund to make sure it keeps up with inflation? In terms of credit risk, the tax-exempt fund is certainly riskier than a savings account or the Short-Term Inflation-Protected Securities fund, given that a savings account is FDIC insured and the TIPS fund will hold bonds backed by the Federal government. With interest rates where they are right now (-1.42% inflation-adjusted yield for 5-year TIPS), the short-term TIPS fund won’t keep up with inflation — at least not in the near or intermediate-term future. But the advantage of the TIPS fund is that you know it won’t lag inflation by too much. In contrast, anything denominated in nominal terms (such as a savings account or the Short-Term Tax-Exempt fund) could fall well behind inflation — though they each have less inflation risk than longer-term nominal bond funds. Both of the funds in question would be subject to interest rate risk. That is, when market interest rates go up, the price of each fund will go down. With an average duration of 1.2 years, the Short-Term Tax-Exempt fund has a pretty low degree of exposure to interest rate risk. For each 1% that applicable interest rates rise, the price of the fund would fall by just 1.2% (roughly). The Short-Term Inflation-Protected Securities fund will track an index that currently has an average duration of 2.7 years. However, it’s worth noting that this is not an apples-to-apples comparison with the Short-Term Tax-Exempt fund, because the price of the TIPS fund will only move in response to changes in real (inflation-adjusted) interest rates. For example, if nominal interest rates rise by 2% solely because expected inflation has increased, the price of a TIPS fund wouldn’t budge, whereas the price of a nominal bond fund would fall. For money specifically designated as an emergency fund, I think it’s important to keep a good portion of it in something that is liquid and which will not fluctuate in value. But, if you have, for example, an emergency fund with 12 months’ worth of expenses, I don’t think it’s necessarily a bad idea to take on a bit of extra risk with some of that money. If your emergency fund is located in a taxable account and you’re looking to take on a modest amount of risk for slightly higher after-tax returns, allocating a portion to short-term tax-exempt bonds could be perfectly reasonable as well. For a person or couple with absolutely no bequest motive, yes, it does make sense to make different choices than most other retirees would typically make. Specifically, this sounds like a perfect case for a single premium immediately lifetime annuity. For those not familiar, such annuities are basically pensions that you can buy from an insurance company in exchange for an upfront lump-sum premium. The single biggest drawback of such annuities is that, once you die, the money goes to the insurance company rather than going to your heirs. But, for somebody with no desire to leave behind an inheritance, this is clearly less of a concern. That said, there are still some important decisions to be made. How Much Should You Annuitize? Even for people with no desire to leave any money behind, it doesn’t make sense to annuitize every last dime. Once you’ve purchased an annuity, you cannot easily sell it to raise cash. So it’s a good idea to keep some liquid savings for unplanned expenses. In addition, it’s worth noting that stocks do typically have higher expected returns than what you’re likely to get from a lifetime annuity. So after meeting your basic expenses with safe sources of income, you might want to continue to hold higher-risk assets with the rest of the portfolio in order to provide the possibility of higher returns and the higher standard of living that would come with them. 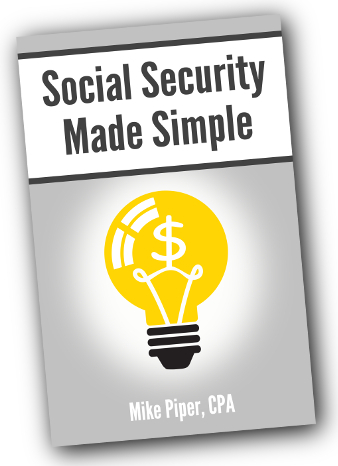 Brief tangent: After determining what level of income you want to ensure, it’s typically most efficient to satisfy as much of that goal as possible by delaying Social Security prior to buying any actual annuities, because the dollar-for-dollar payout that you get from delaying Social Security is meaningfully higher than what you can get in the private marketplace, especially with today’s low interest rates. 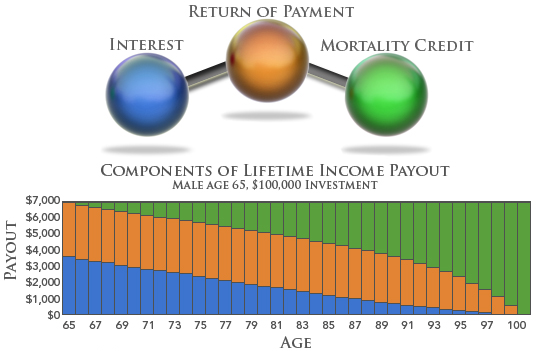 The portion of an annuity’s payout that comes from “mortality credits” (i.e., the money from now-deceased annuitants being used to fund your annuity while you’re still alive) increases over time (because people are more likely to die at age 66 than at age 65, more likely to die at 67 than at 66, etc.). Finally, you would have to decide whether you want to purchase fixed lifetime annuities or lifetime annuities with inflation adjustments. Wade Pfau’s recent research showed that fixed annuities tended to perform better than those with inflation adjustments, but his simulations assumed a 3% inflation rate. While I think that’s a perfectly reasonable assumption, it’s important to note that 3% inflation is hardly a worst-case scenario. Personally, I think the answer to the “fixed or inflation-adjusted” question should depend primarily on how exposed you are to inflation risk. For example, if you rent your home, you’re more exposed to inflation risk than a retiree who owns his/her home. And if a fixed (non-inflation-adjusted) pension makes up a large part of your retirement income, you’re more exposed to inflation risk than somebody for whom Social Security is the primary source of retirement income. Important note: This article is simply meant to provide an introduction to the 72(t) rules. If you intend to utilize them, I strongly urge you to work with a professional tax/financial adviser. What is the 72(t) Rule? It means that if you meet a few requirements (which we’ll discuss in a moment) you can withdraw money from a retirement account prior to age 59½ without having to pay the 10% penalty. For investors intending to retire early, this can play a big role in your retirement plans. It’s important to remember, however, that money coming out of a tax-deferred account will still be taxed as ordinary income, even if you meet the 72(t) requirements. That is, you only avoid the 10% penalty, not ordinary income taxes. How do you use the 72(t) rule? 72(t) allows you to avoid the 10% penalty by taking a series of (at least) annual distributions from your retirement account. Those distributions must be “substantially equal periodic payments” (SEPPs) calculated — according to methods that we’ll cover momentarily — so as to distribute the entire balance of your IRA over your remaining life expectancy (or the joint life expectancy of yourself and the IRA’s beneficiary). After you’ve begun taking your 72(t) distributions, you must continue taking them for 5 years or until you reach age 59½, whichever comes later. That means that once you’ve begun the payments, you’re locked in for several years. No changing your mind unless you want to deal with penalties and interest. Once you’ve been taking the payments for 5 years and you’ve reached age 59½, you can discontinue the payments if you so desire. There are three methods for calculating the distributions. 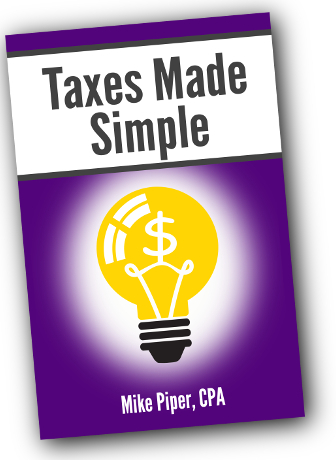 You can run the calculations for each of the three methods and use whichever method allows for distributions that best fit your income and tax planning needs. There’s no need to do the calculations on your own. Bank Rate has a handy calculator to do it for you. $300,000 ÷ 33.3 = $9,009. Cathy would then continue to make take “substantially equal” distributions, calculated in the same way each year until she reaches age 59½, at which point she could stop, should she want to. A helpful tool, but be careful. Deciding a few years into your SEPPs (but still a few years away from 59½) that you would have been better off if you’d continued working rather than retiring early. In short, if you think 72(t) may play a role in your retirement plans, it’s worth taking the time to talk it through with a tax professional. 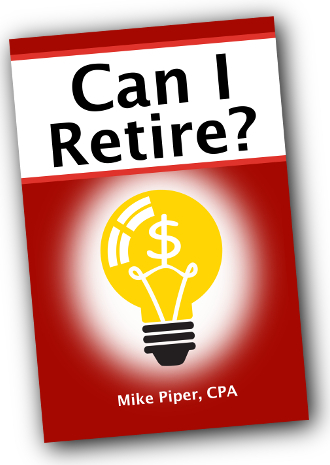 As regular readers have probably noticed, Darrow Kirkpatrick of Can I Retire Yet is one of the writers most frequently included in my weekly roundups. I’ve been enjoying his writing since I first encountered it, so when I met Darrow in person at the Financial Blogger Conference this year, I invited him to author a guest article for this site. I hope you enjoy it. Balanced funds are mutual funds that combine stocks and bonds into a single investment. Generally they stick to a fixed asset allocation, within certain ranges. Balanced funds have traditionally been favored by conservative investors looking for safety, income, and modest growth. In a word, they’re boring! For most of my journey to early retirement, I had no interest in balanced funds. I dabbled in individual stocks, then gradually shifted to passive index funds during my heavy accumulation years. Towards the end of that time, as I focused more on safety and retirement income, balanced funds appeared on my radar. At some point I took a small position in Vanguard Wellesley Income. Then something curious happened. Whenever I had free cash to invest, I’d scrutinize my existing holdings plus my investing “wish list.” After some research, number crunching, and pondering, I’d often just put the money in Wellesley Income! Over time, that one fund has grown to constitute about one-third of my portfolio. Why did I keep choosing this one balanced fund? Because, regardless of the economic cycle, market cycle, or my own personal life cycle, it was nearly always an appealing investment. The bond component of a balanced fund tends to dampen out the volatility of the stock market. A balanced fund won’t rise quite as high in the good times, but it will fall far less in the bad times, and you’ll generally make back those dips in reasonable order. So, over time, a balanced fund can limit the stock market’s swings, while delivering much of its returns. And, while it’s not guaranteed, the stock component of a balanced fund makes the fund more likely to keep up with inflation than a bank CD, a bond, or a bond fund. Another research-documented reason to like balanced funds: They help you to avoid common behavior that leads to investing mistakes. To appreciate the evidence for this, you first need to understand the concept of investor returns as distinguished from fund returns. We’re all familiar with the annual returns that mutual funds report in their glossy ads. But investor returns are what the average investor actually earns from the fund. Why would those numbers be different? Consider a fund that has a great quarter and goes up 5% early in the year. That’s approximately a 20% annual return. Investors see that great return and pile in. Then the fund flat lines for the rest of the year. So it winds up the year by earning 5%, while most of its investors earned nothing. That’s investor returns. In 2011 Morningstar completed a study on the gap in investor returns — how individual investors do compared to their funds’ overall returns. Here’s a snapshot of what they found: In 2010, the average domestic stock fund earned a return of 18.7% compared with only 16.7% for the average fund investor — a 2% difference. For the trailing three years, that gap was 1.28%. However it was a different story for balanced funds: The gap between investor and fund performance in 2010 was only 0.14%, and just 0.08% for the trailing three years. Results were even better for the trailing 10 years. And results were similar for target-date funds and moderate- and conservative-allocation funds — close kin to balanced funds. As anybody who has crunched retirement numbers knows, a 1-2% difference in annual return over long periods can easily add up to tens of thousands of dollars! 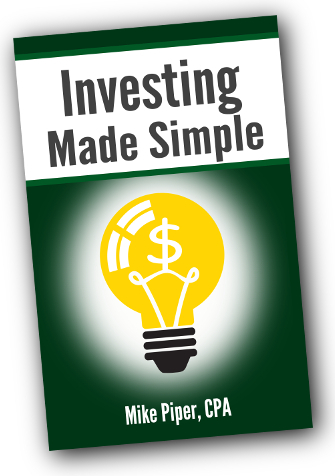 Why do individual investors do better when they are buying and holding balanced funds? It’s probably because balanced funds don’t tend to incite fear or greed — two emotions that can be lethal to investment performance. Balanced funds are easier to live with. Should a balanced fund (or a target-date or allocation fund) make up your entire portfolio? That’s a viable option for many. But it may not be possible, given the investment choices in your retirement plan. Or you might want the level of control offered by individual index funds or ETFs. But a balanced fund could still play a useful anchoring role in your portfolio, while serving as a mechanism to diversify or automate part of your rebalancing strategy. That’s how Wellesley Income functions in my portfolio. Which balanced fund might be best for you? Vanguard Wellington and Wellesley Income have long and enviable track records, and have worked well for me. But note these are actively managed funds. While they have extremely low expenses — 0.25% for Wellesley Income investor shares and 0.18% for Admiral shares, for example — their managers do trade positions in an attempt to enhance performance. Mike makes a good case for the passive index-based Vanguard LifeStrategy Moderate Growth Fund, largely because of the increased international exposure. And if I had it to do over, I’d probably choose one of the LifeStrategy funds too. In the end, only you can choose what’s right for you. But, whatever you decide, remember this principle: your long-term investing behavior is far more important to success than the exact investments you pick, the exact asset allocation you choose, or the rebalancing strategy you implement. As it turns out, balanced funds just make it easier for you to behave well! Darrow Kirkpatrick is an author, software engineer, and investor who retired at age 50. He now writes regularly about saving, investing, and retiring at Can I Retire Yet? He is married to a schoolteacher, has a son in college, and is an experienced rock climber and enthusiastic mountain biker.